ABOUT this drum machine is completely made of vacuum tubes technology! reminds a lot of very vintage electronics like the first album(s) of Cabaret Voltaire. And yes, this is very specialised special kind of technology. 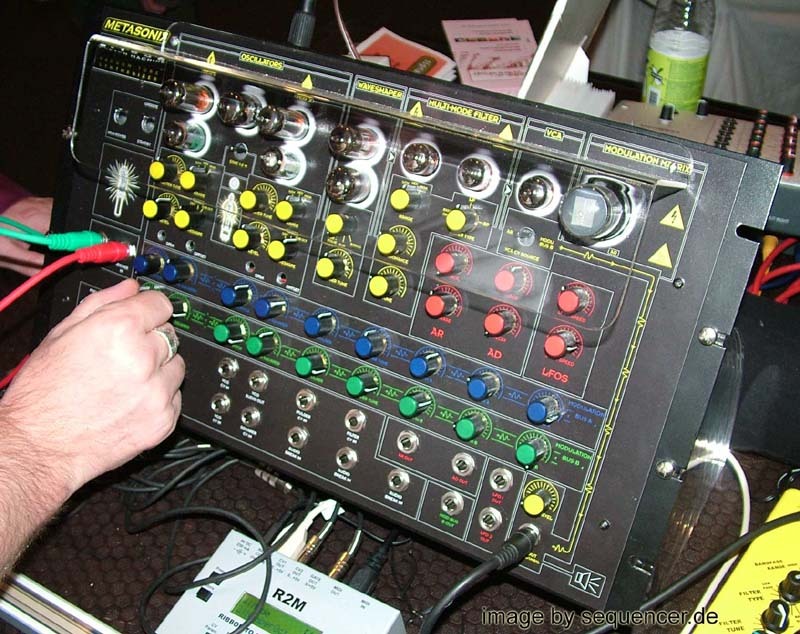 ABOUT Ein komplett mit Röhren aufgebauter Drumcomputer mit 4 Sounds. erinnert klanglich an sehr alte Cabaret Voltaire Stücke Anno 1978. Und ja - noch spezieller geht es eigentlich nicht. DETAILS everything in this 3x8 step Sequencer (means it's 8 steps for each instrument instead of chase light TR-style sequencing). and the tuning can be controlled via CV inputs as well (there are 3 parameters per instruments). 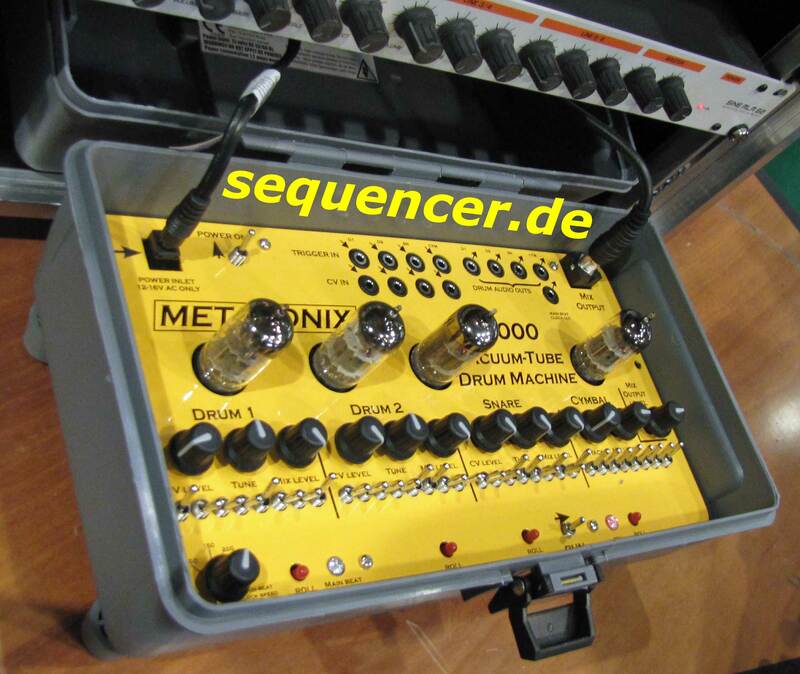 DETAILS 3x8 Step Sequencer pro Instrument. Alles wird per Röhrentechnik erzeugt, einstellbar sind drei Parameter (darunter auch Tune) und es lassen sich pro Instrument jeweils die Tonhöhen per CV steuern.